The leanest burger we offer. Once you savor the hearty taste of these Gourmet Burgers no ordinary burger will ever do. 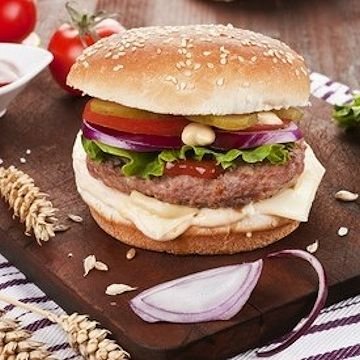 Our thick, flavorful beef patties are ground from our own lean beef! Plus, these burgers won't shrink up like the ones from the supermarket! So fire up the grill and try them today.